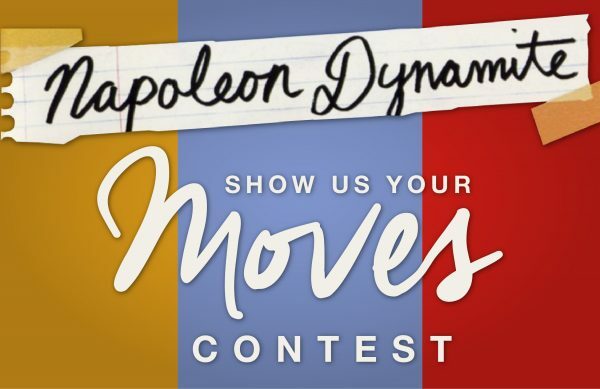 Napoleon Dynamite star Jon Heder dancing his way to NCC 2018; details and contest! For those who missed our earlier announcement across social media, Napoleon Dynamite and Blades of Glory star Jon Heder will be coming to Nickel City Con all three days this May! While most fans know him as the titular character in the cult classic film Napoleon Dynamite, he has also acted in the films The Benchwarmers (2006), School for Scoundrels (2006), Blades of Glory (2007), Mama’s Boy (2007), When in Rome (2010), and Walt Before Mickey (2015). Jon has also provided voice talents to such animated films Monster House (2006) and Surf’s Up (2007), as well as the Napoleon Dynamite animated series (2012). In conjunction with announcing Jon as a guest at Nickel City Con we are running a ‘Show Us Your Moves’ dance contest to win a FREE photo op with him at the convention! Just film your dance moves, like our post and upload your video to the comment section on our Facebook page by Sunday night, February 11th.